Evidently 70 is the new 30. 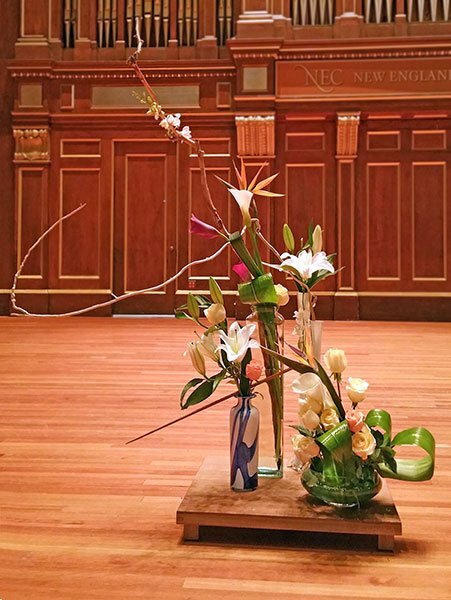 In two well-attended programs with a dinner break in between on Sunday at NEC’s Jordan Hall, Miriam Fried played all six solo Sonatas & Partitas. Though honoring Fried’s 70th birthday, nothing in her playing suggested anything but sublime mastery of six of the most difficult works in the solo violin repertoire. Fried’s pedigree as a performer is top notch. She has played with virtually every major orchestra in the United States, has played recitals throughout the world, and she is a highly respected chamber musician, in addition to being on the faculty of the New England Conservatory and the Ravinia Festival. She plans on performing all the sonatas and partitas in several more venues this season, culminating in a new recording of the works for release in 2017. Nothing will show a musician’s flaws in preparation, technique or musical understanding quicker than an outing with the Bach solo works. Nowhere can one hide, and some of the works are so difficult that one can easily spend a lifetime studying and still come up short. Fried has a lifetime with these pieces, through numerous world tours as well as on recordings. She even took last year as a sabbatical to prepare for what is the musical equivalent of an ironman competition. Bach composed his six sonatas and sartitas between 1703 and 1720, although the first edition was not printed until 1802. It is not known for certain if the works were ever performed in Bach’s lifetime, but since the great 19th-century violinist Joseph Joachim took them up, they have remained firmly in the repertoire of every violinist of any salt. Although there were some notable works for solo violin before these, many were written to be accompanied by a keyboard or bass instrument (basso continuo), with chords or figured bass suggested for the additional players. The sonatas and partitas, however, were labeled as “senza Basso accompagnando.” Nonetheless, Bach wove the chords and contrapuntal lines that would have been played by up to two other people into the hands of the violinist alone. Much of the supreme challenge of the work is to make these disparate voices clear, to delineate the dialogue and the harmony, and to spin out the melodies at the same time. One must master the technical challenges, only to be faced by the question of the musical ones. All of this Fried did with deep conviction and a very personal interpretation. The stage was bare except for a single wire music stand on which rested a tablet computer and an exotic, zen flower structure. The spiky, swirly shapes of the foliage constituted a visual counterpoint to the swirls of the music—simple, yet complicated. Fried’s plain, elegant black gown complemented her interpretations: reverential, formal, clean, clear, beautiful, and for nearly 3 hours nearly note-perfect. Fried’s 1718 Stradivarius filled Jordan hall with a clean, sweet sound. Her new bow by the Bostonian Benoit Roland Baroque produced a pleasant bite at either end, so there was articulation and clarity aplenty in the numerous cascading runs. The sonatas each consist of four movements in the typical slow-fast-slow-fast pattern of the sonata da chiesa. The first two movements of each, the prelude and fugue, are taken attaca. The third (slow) movement is lyrical, while the final movement shares the same musical structure as a typical binary suite movement. The partitas on the other hand comprise collections of baroque dance movements: allemande, courante, sarabande, and gigue, with variations. Presented as a Music For Food benefit, Miriam Fried’s playing generated sufficient generosity to pay for 10,000 meals. More on Fried and Food in BMInt’s article here. Elisa Birdseye, executive director of the Boston Chamber Ensemble, is an active freelance violist and former principal violist of the New Bedford Symphony. Additionally, she has worked as the general manager of the New England Philharmonic and Boston Musica Viva. 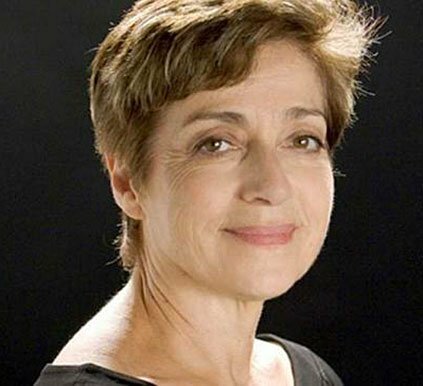 “Sublime mastery” is exactly how I felt hearing Miriam Fried. I know these works very well, and have heard everyone play them over the years, and even played several of the pieces on the harp. But nothing prepared me for the absolutely gorgeous, thoughtful, elegant, exciting playing I heard last Sunday. I heard Ms. Fried decades ago in Tanglewood play Sibelius, and that concert has remained in my mind and my heart for forty years. This concert evoked the same reaction. I was deeply moved by her playing which reflected decades of thought and arduous practice. I will remember this concert the rest of my life. Her D minor Partita was perfection. I loved her tempi, her energy. I kept thinking- this is exactly the way Bach should sound. Her Chaconne was awe-inspiring. And I love that she is part of Music for Food. Thank you Miriam for the gift of these 2 concerts. You inspired awe and gratitude in your many listeners. They were indeed magnificent concerts and Miriam Fried was truly sublime. I can’t help remarking, however, on Ms.Arveil’s plant-construction (see photo above, though it doesn’t quite do the piece justice). The construction stood a bit higher than Miriam Fried at stage right, as if it were a silent second performer, proud, but keeping its distance in the face of the glorious soloist. It struck me as extraordinarily beautiful, a kind of balancing silent echo of the music. That great extended branch that swept out and then curved in again on itself seemed almost a visible tracing of one of Bach’s long, legato phrases. And there was enough complexity in the burgeoning base of the plant-construction and its discrete containers to mirror the contrapuntal richness of Bach’s textures. I felt that it was virtually ‘music in stasis,’ and found it wonderfully complementary rather than distracting. Brava, Ms. Fried! And brava, Ms. Arveil! Not surprisingly, a splendid additional note by Professor Alan Levitan, I know his work, he should write more for the Intelligencer, and at greater length.